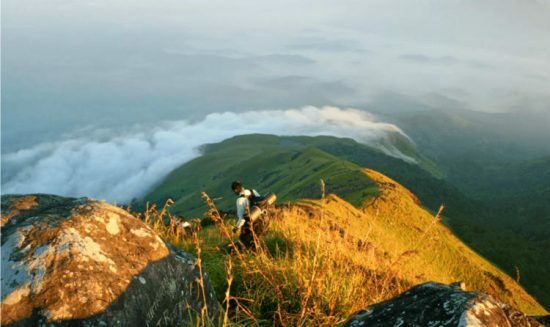 Chembra is the tallest peak in Wayanad and is a perfect zone for trekking. There is a heart moulded lake while in transit to the highest point of the pinnacle, which is accepted to have never become scarce, is a noteworthy vacation spot here. With authorization from the Forest Department, one-day treks and two-day natural life treks are conceivable. Distance from Green Garden : 20 KM ( 40 mints). If you are looking for some Waynard tourist places then this is another Wayanad attractions which is a must visit for you. 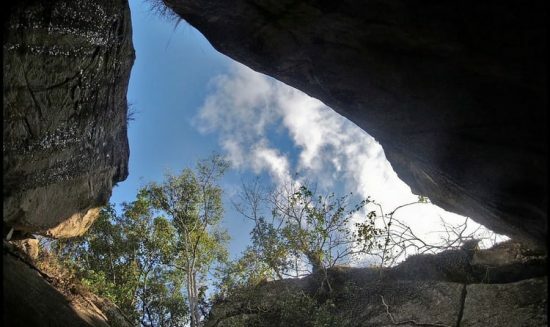 Edakkal caves are well known for its pictorial depictions (cave art), which are thought to be of 6000 B C. To achieve the hollows, one needs to trek through the Ambukutty Mala. It will take around 45 minutes to climb the hill and you will never get baffled in your outing to these historical caves. Inside the cave, you can see two chambers. The lower chamber is 18 ft long, 12 ft wide and 10 ft high and the upper chamber is 96 ft long, 22 ft wide and 18 ft high. You can animal figures and objects used by humans, on the walls of the caves. These carvings give incredible confirmation for a very enlightened society who lived in the pre-noteworthy age. Edakkal caves have drawn awesome consideration of archaeologists and students of history around the world. Distance from Green Garden: 36 KM ( 1 Hr 10 Mints). A perfect blend of different natural colours makes Kuruva Island one of the best places to visit in Wayanad. It is a protected river delta with a number of islands over the middle of Kabini River, the famous east flowing river in Kerala. The island is sprawling across an area of 950 acres with a dense population along with some rich and rare species of flora and fauna. It protects the evergreen forest ranges which provide a different ambience and thus making it an ideal choice for tourism. 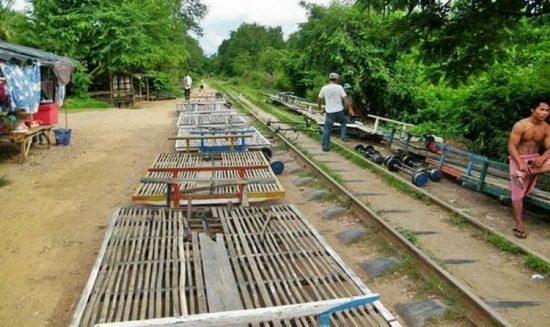 There are bridges made of bamboo trees and many plants which we have not even heard of. Natural lovers and adventure enthusiasts will find Kuruva Island the most suitable space for spending a quality time with their beloved ones or even alone. 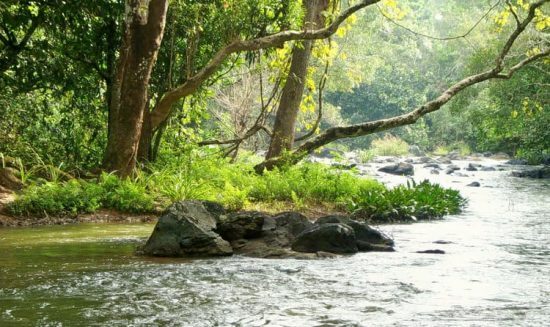 The island is encircled by many streams and small rivers and Kerala tourism department have made the island more attractive by offering some adventurous activities in Wayanad. Distance from Green Garden : 44 KM ( 1 hr 40 Mints). Timings: 07:00 - 10:00 hrs.& 14:00 - 17:00 hrs. Distance from Green Garden : 13 KM (23 Mints). 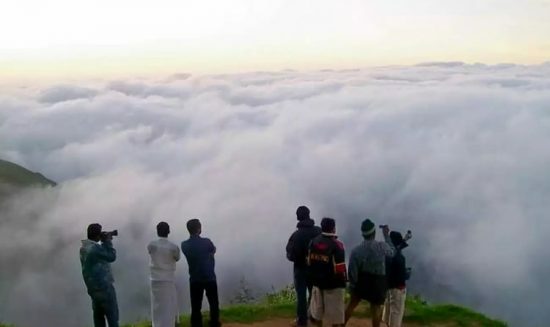 If you are looking for some fun-filled Wayanad tourist places than the famous Neelima ViewPoint is a must visit for you. A place for thrill seekers, Neelimala View point can be reached by means of trekking at the same time offering a few astonishing trek trails. The perspective of the valley from the best is essentially captivating alongside a beautiful vision of Meenmutty Falls. From the point, vacationers can see the smooth white streams spouting through the walk, advancing towards the waterway. Lakkidi is the passage of Wayanad as it is situated at the peak of the serpentine Thamarassery ghat pass. There are nine clasp bends from Adivaram (Downhill) to Lakkidi through the mountains and a voyage through the serpentine ghat pass. It is around 2296 ft (700 m) over the ocean level and the significant town close-by is Vythiri which lies five km away. The lavish greenery of the slopes, chasms and streams seen on the two sides of the section up the slope are certain to wait in the guests' psyche for quite a while. Distance from Green Garden : 14 KM ( 25 Mints). 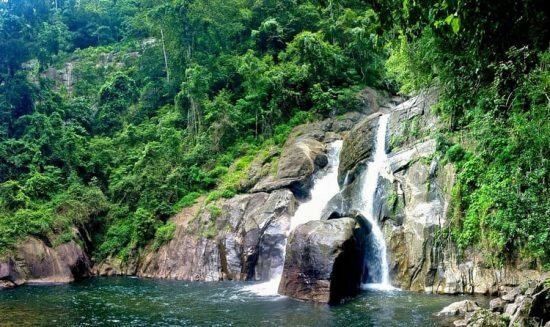 Major attraction and one of the scenic Wayanad tourist places is Meenmutty Waterfalls located at a distance of around 29 kilometers from Kalpetta. It is a famous waterfall in the state of Kerala. A three tiered waterfall is a surprising sight to be visited. The waterfalls fall down from a height of 300 meters. To reach the waterfalls, you can do a trekking for about 2 kilometers through the thick jungles from the Wayanad-Ooty Road. It becomes very dangerous during monsoon and rainy seasons. The gushing waterfalls are located near the Neyyar Reservoir area. People with an adrenaline rush come here in plenty to experience the different levels of rock climbing and trekking. The location exhibits an ideal blend of stunning natural sights with amazing trekking trails in Wayanad. Banasurasagar Dam is the closest attraction which gives the waterfalls fame among the adventure lovers. Distance from Green Garden: 24 KM ( 45 Mints) . 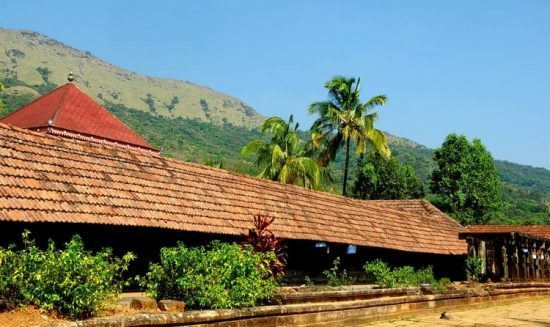 An ancient temple which is famous all over Kerala and other states of India is Thirunelli Temple located in Wayanad on the side of Brahmagiri hills. It is dedicated to Lord Maha Vishnu. 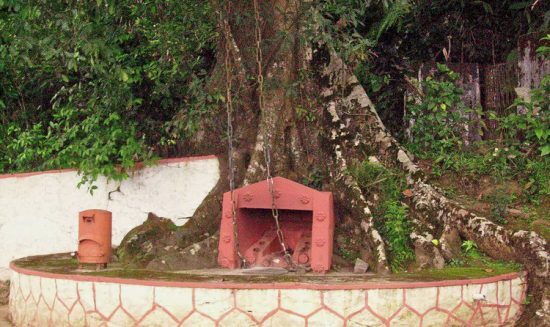 One of the major features of the temple is its location at an altitude of around 900 meters in a valley completely bounded by mountains and forest ranges. But there is no proper records of the exact dates of its establishment. But it is one of the most visited pilgrim centre in Wayanad and an important religious place for the majority of population in South India. The name Thirunelli comes from the words nelli which is given to the tree of gooseberry. There is also a belief that there are Puranas in which the temple is mentioned. 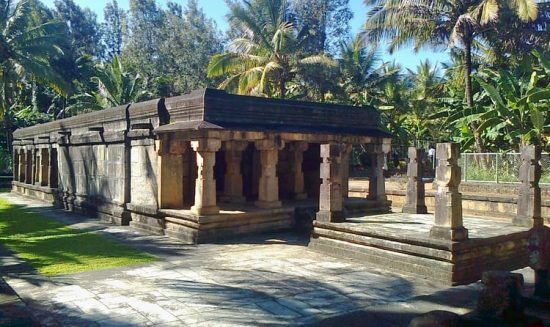 There are a lot of legends existing related to this temple which are coming from the ancient mythology texts of Hindus. Distance from Green Garden : 65 km (1 hr 55 Mints). Karapuzha Dam is considered to be the second largest earth dam of India. It is a fine place for an unwinding evening, with gentle breeze, amazingly scenic sky and waterfront. A bouquet of nearly a dozen lakes merged together to form this reservoir in Karapuzha river, a small tributary of Kabani river. As, activities are not available there, it is worth visiting in the evening especially. Enjoy the breeze as you walk along the water catchment area, hand in hand with your beloved ones. The vast catchment area and the greenery around are quite apt for an evening photo shoot. Water reaches to the brim of the dam during monsoon season, which is an amazing scene. It is open thoughout the year. Entry fee is not applicable at Karapuzha. 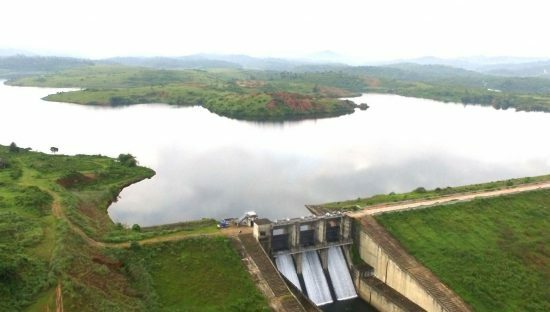 The Dam is open throughout the week from 0900 h to 1700 h.
Entry is generally closed by 1630 h.
Morning /evening is good time to visit Karapuzha Dam. 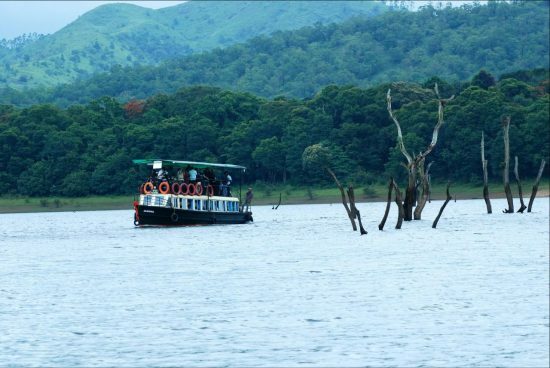 One of the major tourist places to visit in Wayanad is Banasura Sagar Dam that impounds the famous Karamanathodu tributary of the east flowing river in Kerala that is Kabini River. The dam is encircled amidst a beautiful nature with a lot of options to do trekking and similar adventure activities. Hundreds of tourists arrive at the dam to enjoy its beauty and take photographs. It is a part of the Indian Banasurasagar Project consisting of a dam and a canal project. This project was started in 1979. The project was started with an aim to support the Kakkayam Hydroelectric power project and also meet the demand for water for irrigation purposes and for drinking water during the period of water shortage in the region. In the reservoir, we can see some islands formed when the reservoir submerged the surrounding areas. Banasura Hills on the islands are offering the most spectacular view and it is a major sight to see in Wayanad city. Distance from Green Garden : 25 KM ( 50 Mints). 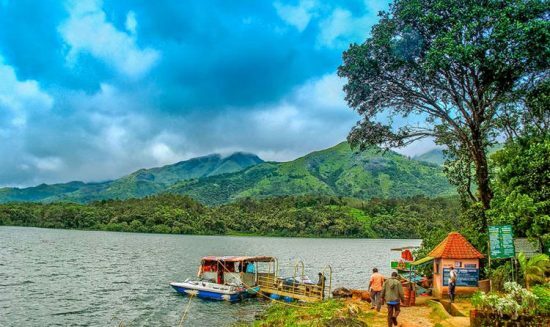 When you visit Wayanad, a major hill station in Kerala, you should visit Pookode Lake which is considered to be one of the best places to visit in Wayanad. It is the most beautiful freshwater lake located in South India nestled amidst the large evergreen forests and multitudes of mountains slopes existing at an altitude of more than 770 meters above sea level. The lake is situated very close to Kalpetta and acknowledged as one of the smallest and highest freshwater lake in Kerala. The lake provides space to Panamaram, a small rivulet that becomes Kabani River to originate. The Pookode Lake is spreading across an area of 8.5 hectares with a depth of around 6.5 meters. Geographical experts found that the lake resembles the shape of India’s map. It is a perennial fresh water lake protected by the forested hills and it acts as a haven for fresh water fish and a lot of blue lotus flowers. In some Wayanad tour packages visit to this is place is included while in some you have to go by your own. 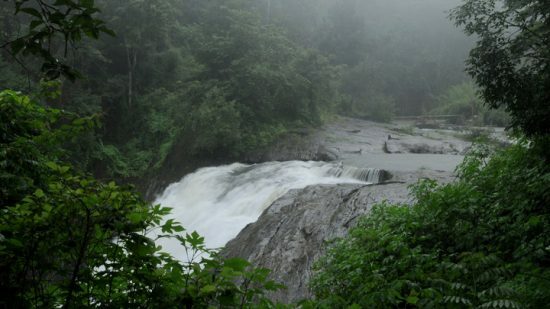 Soochipara waterfall is a three-layered waterfall at Vellarimala in Wayanad. This waterfall, encompassed by thick green woodland, is otherwise called Sentinel Rock Waterfall. 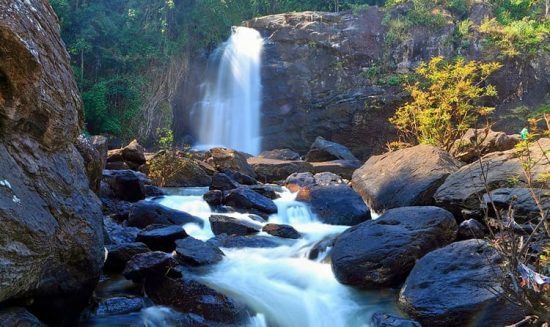 A 20 minute drive from Meppadi in Wayanad will take you to this awe inspiring waterfall. The name Soochipara derived from the words "soochi" and "para" signifies "rock" and 'needle'. The name given is able as should be obvious needle molded shake here. You need to stroll around 2 km to achieve the waterfall, where vehicles can't move further. The dilute here falls from a stature of 100 to 200 ft and this waterfall is a perfect place for trekking and rock climbing. You can locate a pool underneath this falls and here you can go for swimming and washing. A visit to this places should definitely be included in your Wayanad tour to make it a lifetime remembering the experience. Nature lovers and adventure enthusiasts find the places to visit in Wayanad beautiful and they seek for reasons to linger and extend their holidays. One such place in Wayanad every nature lover would love is Pakshipathalam Bird Sanctuary. 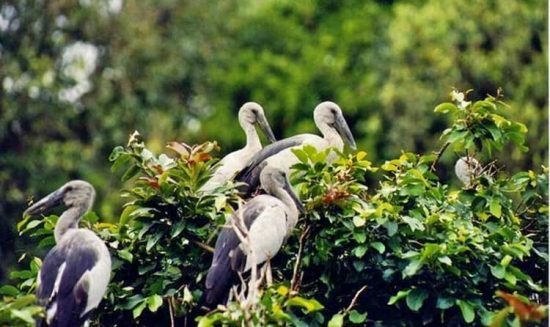 It is one of the most important bird sanctuaries in Kerala. Bird watching is a common activity done by the locals as well as tourists here. Ornithologists are found in plenty who come to know more about the world of rare birds. The virgin forests create the protection for these rare species of birds. The pathways leading to the sanctuary is a suitable place for trekking in Wayanad which let the tourists watch lush greenery, streams and hills. Edible Nest Swift Light is the main reason behind the fame this sanctuary has achieved. Inside the sanctuary, there is the nest which is made of solidified saliva and it is used to make bird’s nest soup. Within the boundaries of the bird sanctuary, one can find a temple and a watchtower to help the tourists to come and go out of the sanctuary easily. Distance from Green Garden : 264 kilometers. Another fascinating Wayanad tourist places which is a must see attraction for you is the Phantom Rock. 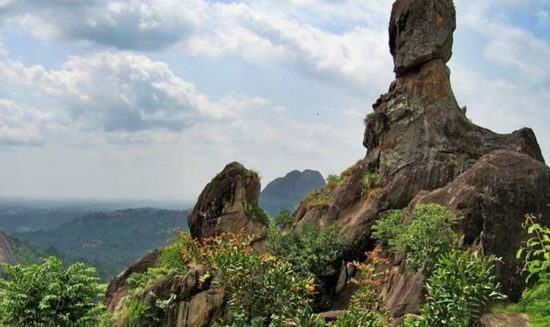 Phantom Rock (Cheengeri Mala) is a prestigious place that is as one of a kind as its names. It's an archeological ponder that can be not really seen anyplace else on the planet. The stone is normally thrown in the state of the apparition skull and henceforth is well known by the name of Phantom Rock everywhere throughout the world. The beautiful place is 26 km far from Kalpetta and can be come to by trekking on the tight paths. Like different spots of Wayanad, Cheengeri Mala is likewise one of the most loved spots for trekkers and explorers. The pleasant rock is standing tall at a rise of 2600 m over the ocean level and is encompassed by the rich greenery; it's a picture perfect place for those who are looking for peace and solitude. 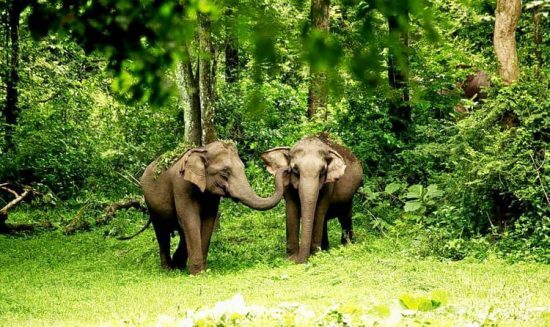 A famous animal sanctuary in Kerala and one of the major places to visit in Wayanad is Wayanad Wildlife Sanctuary which has an extent of 344.4 square kilometers with four ranges. The ranges are called Sulthan Bathery, Muthanga, Kurichiat and Tholpetty. It acts as a haven for many large and wild animals such Indian Bison, elephants, deer, tigers etc along with some unique birds. 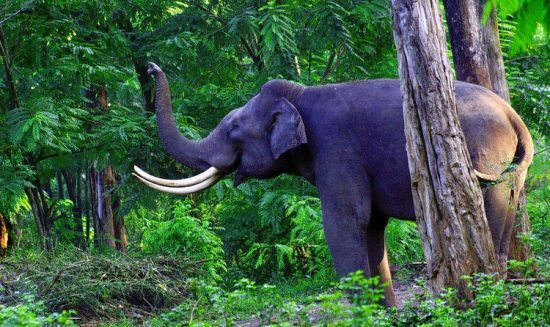 It is the second largest wildlife sanctuary in Kerala bestowed with lush green nature. Location: Bathery- Puthupally Road, Wayanad District, Sultan Bathery, Kerala 673592. Wayanad with its rich history, abounding folklores, misty mountain ranges and ambitious waterfalls has become an ideal holiday destination over the years. Be it for families, couples, group of friends or corporate teams, very few places in the world offer such appeal and charm that pleases every heart. If you are an adventurous soul or seeking a romantic getaway, searching for history or simply want to relax in the lap of nature...Wayanad will satiate all your needs and desires! Wayanad Heritage Museum is located at Ambalavayal near Sulthan Bathery. 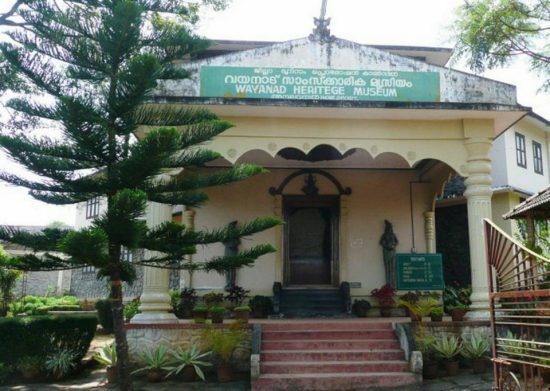 It is an archaeological museum that has one of Kerala’s largest collections of the remnants of an era dating back to the 200 A.D. Main attractions of this museum are 2nd century artifacts, which reveal the ancient human civilization. The exhibits here are evidences of an advanced civilization that existed in the mountains of Wayanad. Articles as varied as clay sculptures, ancient hunting equipment like bows and arrows, stone weapons and other curios are worth visiting for all, especially for students and archeologists. Open throughout the year. It is open throughout the week from 1000 h to 1700 h, Entry is generally closed by 1630 h.
The hills beyond the waterfall stream are covered by dense forest. So fresh cool air is always there. Visiting hours: 09:00 hrs.to 17:00 hrs.